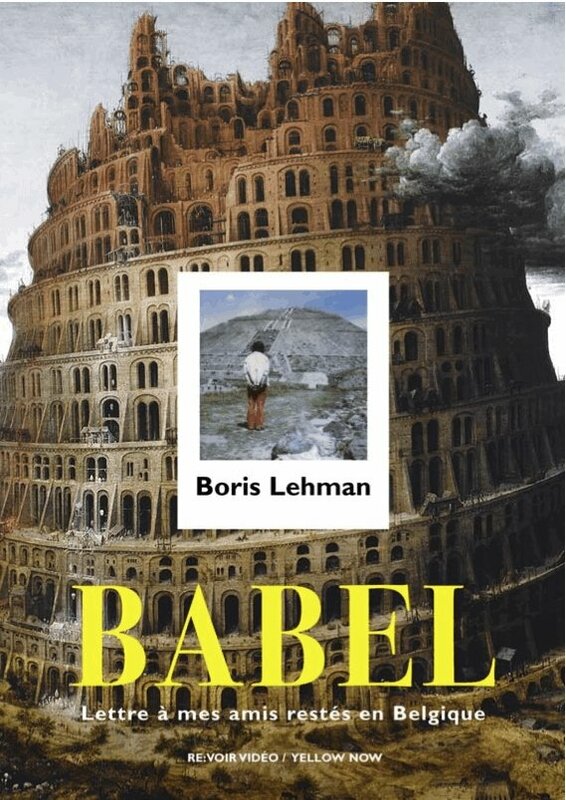 Babel tells the daily life of a filmmaker (Boris Lehman) wandering in his own city (Brussels), which seeks from Mexico on the trail of Antonin Artaud, among the Tarahumara Indians. It's a film about friendship and intimacy, written in first person, which puts Boris and Brussels in the center of the universe, represented by the spiral of the mythical tower. This is the diary and Boris Lehman's self-portrait that depicts and plays himself on the screen (like the hundreds of people who agreed to be "babelisées"). The book contains: summary, the entire voice-over excerpts of dialogues, five unpublished texts (Juliette Achard, Mario Brenta, Serge Daney, Messalina Raverdy, Boris van der Avoort) and 115 color illustrations (documents, frames, drawings, manuscripts).